The full report, a summary, and a two-page overview are available here. A report based on two surveys ten years apart and two years of analysis has been by a team of researchers from the National Research Institute (NRI) and The Australian National University (ANU). In 2002, the Papua New Guinea National Research Institute (NRI), in collaboration with the World Bank, surveyed some 330 primary schools and health clinics across the country, from the national capital to the most remote districts. In 2012, NRI, this time in collaboration with the Development Policy Centre at ANU, went back to many of the same primary schools and health clinics in the same eight provinces, this time surveying a total of about 360 facilities. The end-product is a data set of unprecedented detail and depth in relation to service delivery in PNG. Indeed, very few countries around the world can boast of a panel survey of facilities of this type which enables comparisons to be made over time. The NRI-ANU research team has spent the last two years analysing the data sets, and today released their results at the report launch at the NRI campus in Port Moresby. The report, A lost decade? Service delivery and reforms in Papua New Guinea, shows that PNG’s primary schools have expanded rapidly over the last decade, but that fewer services are now provided by its health clinics. Since the difficulties of service delivery in PNG are already well-known, what is perhaps more interesting are the areas of progress shown in the report. There were 89 per cent more children enrolled in the average PNG primary school in 2012 compared to 2001. Whereas there used to be one girl at primary school for every two boys, now there is almost one girl for every boy. The number of teachers has grown by a third over the decade, and the share of female teachers has grown from a quarter to a half. The number of ghost teachers (teachers claiming pay but not actually working) has fallen dramatically. The average school has more and better classrooms, teacher houses and textbooks. More have drinking water and electricity. Of course, PNG’s primary schools and – to a much greater extent – health clinics still face many challenges. A third of classrooms require rebuilding: the same share as in 2002. Class sizes have increased a lot, and there are broader concerns about the quality of education on offer. Though the number of children in school has certainly increased, absenteeism has risen. Nevertheless, the positive results revealed by the survey not only show that progress in service delivery is possible in Papua New Guinea, but also show how progress can be made. A large chunk of the report is devoted to understanding the impact (or lack of impact) of recent reforms, such as free health and education, and the reasons for the differences and trends that we observe. Getting finances to the service delivery front-line stands out as critical. A lot more funds are reaching schools today than health clinics. About 40 per cent of health clinics receive no external support at all (in cash or in kind), whereas nearly all schools receive the twice-yearly subsidy payments. And schools receive more than twice as much funding than they did ten years ago, even after inflation. What they have lost in school fees they have more than made up for through generous government support. Local governance and supervision also matter. Schools have mature and increasingly powerful Boards of Management which provide local oversight. They receive community support through P&C Committees. And most schools are inspected. Resolving workforce issues is also key. The Education Department has been able to hire new teachers, whereas many retired health workers continue in place since there is no-one to replace them. Significantly, about half the health workers we interviewed felt they were not being paid at the correct grade. That was true of teachers ten years ago, but now it is only 10 per cent. Again, progress is possible. 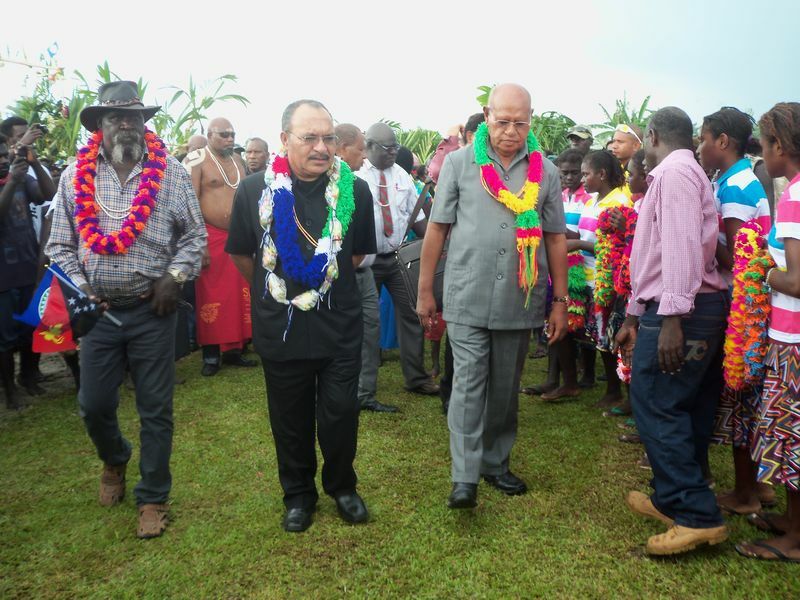 In summary, getting funding to the front line, providing community and administrative oversight, and sorting out human resource problems seems to be the secret for the success of PNG’s primary schools. It is a recipe that could be applied more to primary health care, perhaps starting at the bigger district-level facilities. Regular monitoring of basic data across PNG is critical for understanding what is working, what isn’t working, and why. Without it, we will be in the dark about service delivery. We look forward to the discussion that we hope our report will generate. In our next phase of research, we’ll be going back into the field to undertake more detailed case studies to better understand the conditions required for service delivery success. And perhaps in another five years or so we’ll be able to further develop this unique data set by undertaking another nationwide facility survey. Professor Stephen Howes is Director of the Development Policy Centre. Andrew Anton Mako was a Research Fellow at NRI for most of the duration of this project. Dr Grant Walton and Dr Anthony Swan are Research Fellows at the Development Policy Centre. Dr Thomas Webster is the Director of the National Research Institute. Colin Wiltshire is the Project Manager for the PEPE project at the Development Policy Centre. The NRI-ANU PNG Promoting Effective Public Expenditure (PEPE) project aims to understand how Papua New Guinea allocates its public funds and how these funds are provided to and used by those responsible for delivering basic services. PEPE is supported by the Australian aid program through the Economic and Public Sector Program (EPSP). Our previous blog posts on PEPE research are collected here.